For the 23rd year, the La Cañada Flintridge Chamber of Commerce gave its community the gift of “good family fun, with something for every age,” as Chamber President Pat Anderson described Friday evening’s Festival in Lights event at Memorial Park. As families arrived to picnic and pose for photos in front of live reindeer, a semi-truck sprayed eight tons of snow on the grass field to the delight of park-goers. Hello Pizza & Chicken and Los Gringos Locos, two local eateries, set up vendor stalls and began serving food and beverages to the crowd. At the Festival in Lights, the 2018 Miss La Cañada Flintridge Court was announced. 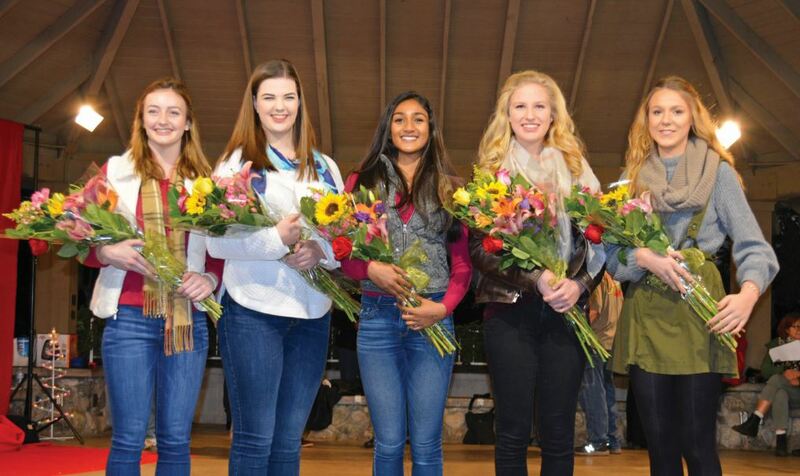 From left are Courtney Johnson, Megan Andrew, Rucha Kadam, Julia Powers and Hazel Valentine. 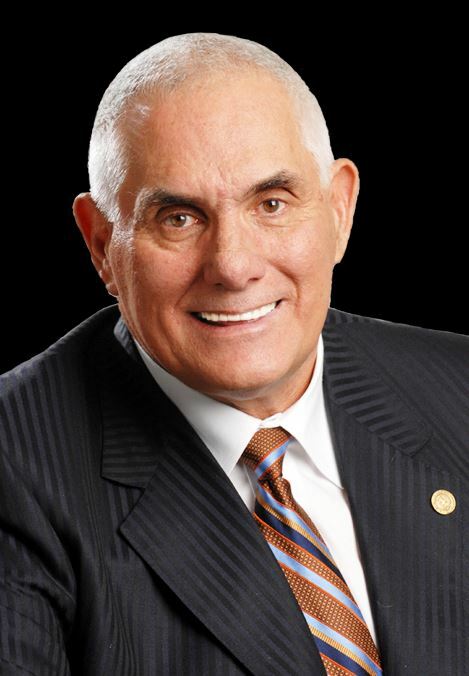 The coronation of Miss La Cañada Flintridge will be held during the Installation and Awards Dinner in January. Local Boy Scouts (left) raise an American flag during Monday’s annual Memorial Service at Memorial Park. 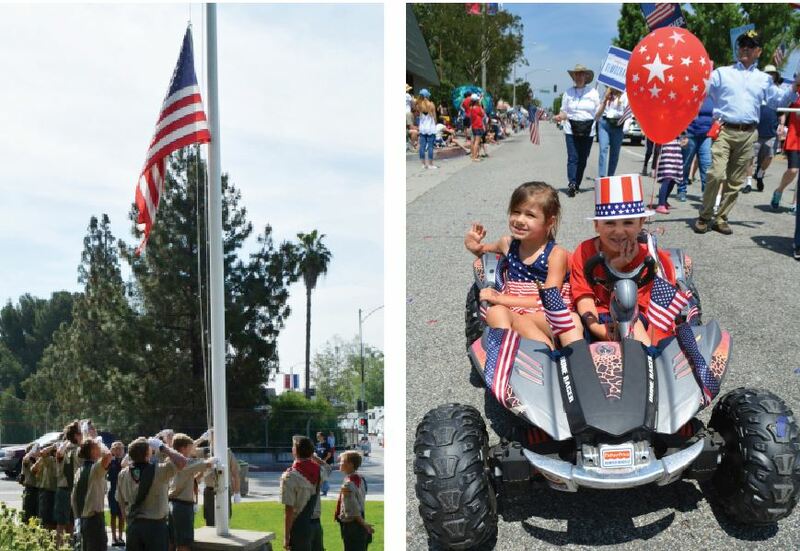 Afterward, Harper Klausner (right) and Greyson Molinelli were among the stars of the Fiesta Days parade that rolled down Foothill Boulevard, highlighting the 44th Fiesta Days celebration in La Cañada Flintridge. 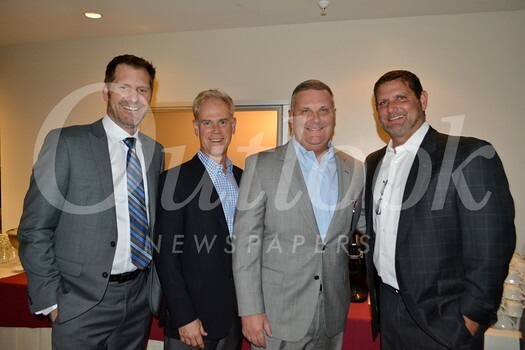 La Cañada Flintridge partied this past weekend, but it also paused to reflect. For the 44th consecutive year, thousands got together in LCF for the annual four-day fiesta that culminated Monday morning with a somber memorial service followed by a lively, patriotic parade. 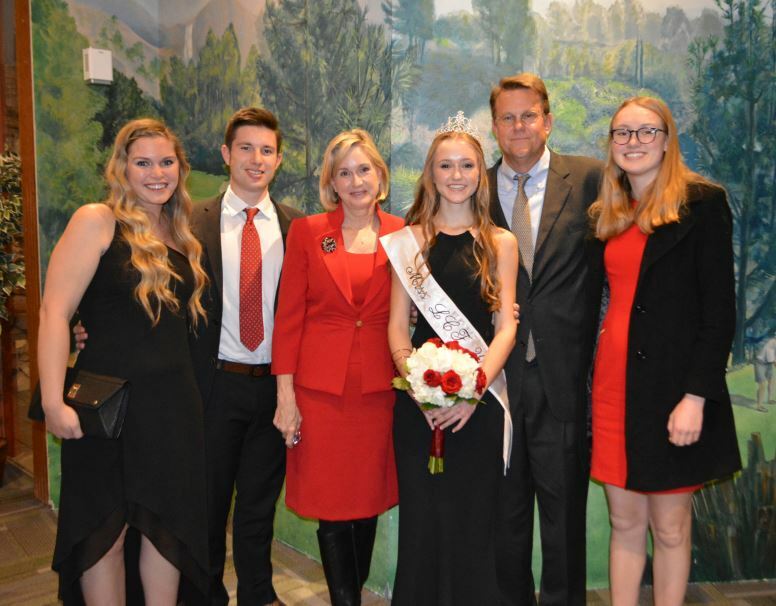 Sarah Ann Settles celebrated her 17th birthday last month with great fanfare: At the La Cañada Flintridge Chamber of Commerce’s 105th Installation and Awards Gala, she was named 2017 Miss LCF — a dream come true for a girl who grew up being inspired by members of past LCF Royal Courts. Miss La Cañada Flintridge Sarah Ann Settles (center) is flanked by her family: Megan Spitler, Ian Smith, and Carol, Jim and Shannon Settles. Whenever he rides out of town, Frank Ruiz will be doing it in style.